1 tsp xanthan gum (for thickening, you could also use corn starch. To make sauce, combine all but tilapia and capers. Warm the sauce and add tilapia fillets. 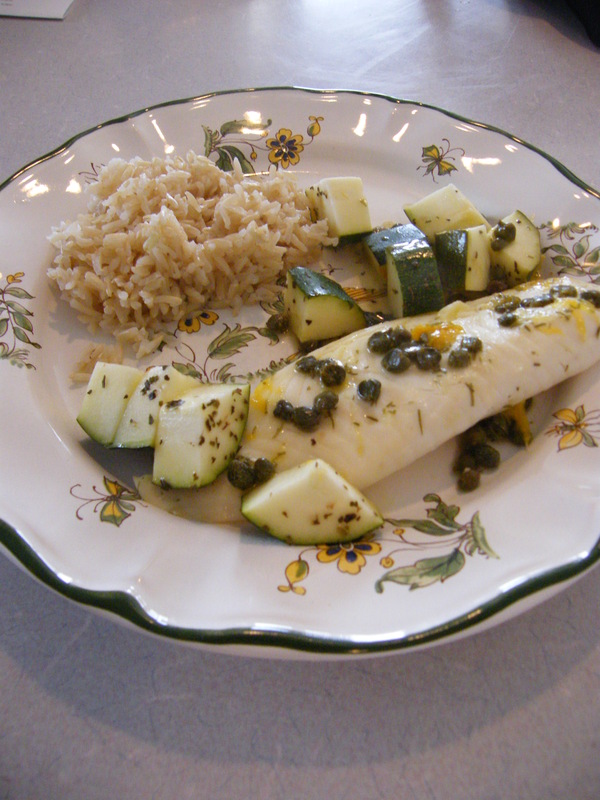 Cover tilapia with capers. Cover and saute on medium about 10 minutes, turn fillets and cook, covered another 2-3 minutes. At this point I added zucchini to the pan. Sprinkled a bit of salt and basil on the chopped garden zucchini and covered another few minutes with the heat off. We enjoyed it with brown basmati rice and sliced fresh peaches . The kiddos loved it too (served our family of four eaters).